Kilkenny was a small hamlet south west of Ditcheat village consisting of two farms and two cottages. 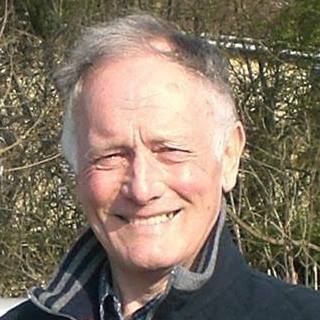 Wraxall to the west on the cross roads was the Queen’s Arms public house, Licensee Lot Golledge - my grandfather, adjoining it a carpenter’s workshop, a cycle repair shop Cyril England’s and a grocery shop. There were also seven cottages, three farms and another public house, The New Inn was a tiny house nearby the entrance to Hill Farm. I believe only cider was served there and the barrels were kept in the back kitchen. Customers were served in the living room at the same table as Bill and his wife had their meals. Mrs Webb was a hard working woman doing washing, ironing and mending for local farmers. On Friday’s the butcher would deliver meat offal, Mrs Webb would clean the pigs entrails with a long stick in water to use as skins for sausages, then make the sausage meat and string it up. She also made faggots and cooked them in the boiler which earlier in the week had boiled the washing, she had no trouble in selling them, and they were all gone by Saturday night. Next were two farms down a track named Lower Wraxall, travelling east into Ditcheat on the left hand side the hillside was covered with English Larch trees. There was also a part demolished brick building, it was two stories and all that was left of a hunting lodge and game keepers dwelling. Bricks were taken from here in 1900 across the fields to build two farm cottages at Ditcheat Hill Farm. I was born in one of these cottages, and Mr Tom White lived in the other, he had helped haul the bricks when he was a lad. You can view the map in detail from Maps and Field Names page on this site which will link to an excellent mapping resource at The National Library of Scotland. 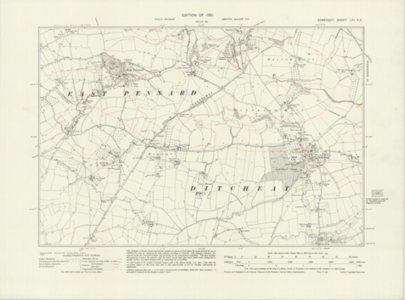 The OS 1931 edition map shows Upper Wraxall Farm, which we know today as Hill Farm. The New Inn is annotated by the legend B.H. = Beer House.